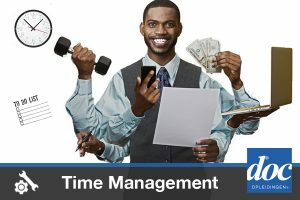 Anyone who wants to improve and optimize his or her professional and personal time management skills. Anyone can work hard; working smart should be the goal. This starts with setting clear objectives, having good planning and setting the right priorities. A solid self-evaluation gives insight into a better approach to how you spend your time, both personally and professionally. We all know the day has 24 hours, yet some get more out of their day than others. Why? That is the core question to be answered in this workshop. The answer will give you insight into optimizing your time. The workshop consists of 6 sessions of 2 and half hours. With participation of 80% or more a participant receives a certificate of participation.